We sat down with Cécile Thieulin, a REAL Parisian and the founder of Simone Simon, a research studio redrawing the lines between fashion and architecture. 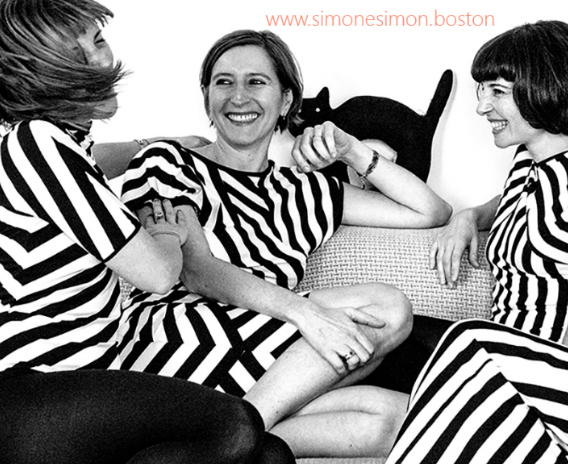 Embracing sustainable materials and local fabrics, Simone Simon creates ethical and chic fashion for women. Cécile tells us what inspires her, how she built an international career, and her perfect afternoon in Paris. You are a fashion designer and architect! How did you get started? Fashion and architecture are extremely similar. As an architect, my passion for fashion is reflected in Coco Chanel’s quote, “Fashion is architecture: it’s a matter of proportion.” With my studio Simone Simon I explore the interface between the human body and the outside world, redrawing the lines between fashion and architecture. We create constructed garments, using a range of new fabrication methods and performative materials. Of course, architecture inspires a lot of my travels and discoveries. The way we build or have built drives the way I create. I believe that technology is changing the way we create, build, produce fashion and the way we wear it. For instance, my first collection was inspired by stereotomy (the art and science of cutting-stone characterized by the correspondence between form and structure) and by a camouflage technique invented by military engineers called RazzleDazzle. It was meant to create optical illusions through disruptive patterns. How has being bilingual helped you in your career? When you speak another language, you feel a little like another person. It is something that feels funny to realize you would sometimes think and express yourself differently on the matter had it been your native tongue. Speaking another language emphasizes different character traits that depend on the language you are speaking. Speaking multiple languages also clearly allows you to connect with people and other cultures in genuinely way. Your experience in countries of which you speak the language is radically different from the experience you can have in countries of which you don’t know the language. Personally, it allows me to interact with different people and understand the nuances of another culture. Each difference helps you improve your own accomplishments, expand your possibilities. What advice would you give to other women, just starting out in their career? Work on your objectives every day, it will bring you closer to your goals, and that’s what I strive for every day. We should always take our business/work seriously while having a lot of fun doing it along the way. “Jump and the net will appear,” is some inspiration from my friend and advisor, Susan Duffy. Go against your fears, find your way. Everything will be fine! Paris, on a warm spring day! Sit outside on a terrace, drink a coffee at ‘Ten Belle’ near the Canal Saint Martin. Then you should take a walk along the banks on the canal, stop at ‘Du pain et des idées’ to eat their delicious croissants! From there, turn into the little streets in le Marais to breathe some art at gallery Perrotin and gallery Thaddaeus Ropac. Then take your Velib’ along the Seine to meet some friends because it’s already time for the ‘apero’ on a terrace: Cheers! Cécile currently resides in Boston, Massachusetts. Explore her bold designs and architecture on Instagram, and Twitter. A sarcastic Jersey girl turned world traveler who loves postcards, design, live music, and hates long voice messages. Endlessly searching for the Holy Grail - the perfect grilled cheese (Comté? Ramen? Ribollita? Hotpot?) and wine pairing. Outdoor music festivals and used bookstores are my happy place.